The Elsie Dress, The Misty Dress, The Olive Slip, The Harry Blouse. If there is anyone on this planet I think I have a serious, all encompassing, complete girl crush on, it's Alexa Chung. Never have I seen an outfit from the queen of effortless style that I haven't liked and my obsession with all things Miss Chung has resulted in an entire Pinterest board dedicated to her perfectly put together outfits at all times. As an Alexa obsessive, I was beside myself with excitement when I heard about her collaboration with M&S, titled Archive By Alexa and have since been counting down the days until I could see the array of clothes I knew I would just NEED in my life. Oh how right I was. The concept of the collaboration is based upon Alexa rediscovering some of the most well loved or popular garments from Marks and Spencer's archive to curate a collection that is totally dreamy and absolutely screams Alexa's style. One thing I love about the collaboration is the prices of garments which was so pleasantly surprising??? Other than the super popular trench coat and a pair of black chunky boots, everything makes it under the £50 mark which gets a huge thumbs up from me but perhaps a thumbs down from my bank balance that now wants to own everything even more. I've created a wish list of my favourite four items in case, like me you were a little overwhelmed by how gorgeous the whole collection was but be warned, browsing the website is risky business for anyone feeling spendy. 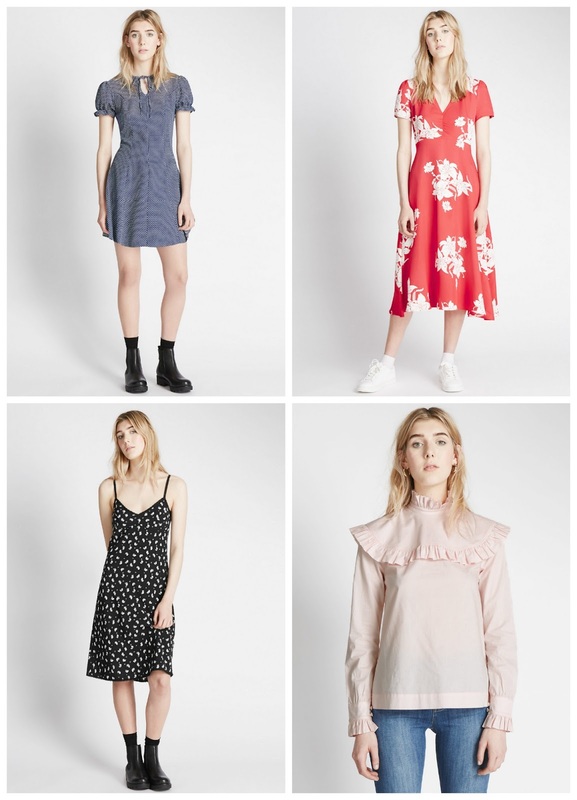 I managed to snap up the Elsie dress (top left) yesterday morning as a little treat for myself during my constant stress of impending deadlines and am super excited for it to arrive today! It's the perfect summer mini dress which I can't wait to wear with either white Birkenstocks or Converse for a more casual look or with some little white heels for a more evening appropriate look when the sun makes its full appearance in the coming months. Keep your eyes pealed for the OOTD soon!